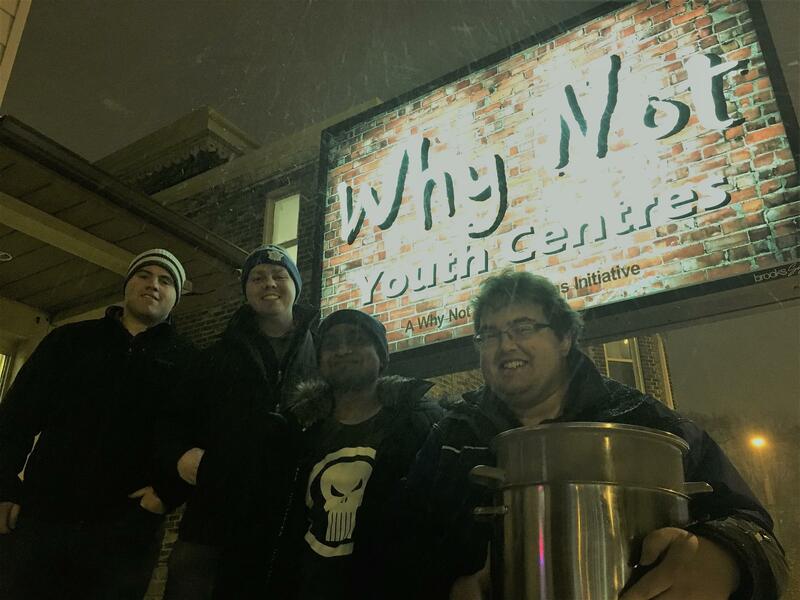 Since 2017, our members prepare and serve a dinner for 60 to 75 local youth at Why Not on Dalhousie Street every month in partnership with the Rotary Club of Brantford. This month, our local Brantford Rotaract Club led the Why Not Youth Centres dinner. Click on 'Read More" for full story. To learn more about Why Not Youth Centres, please click here. To learn more about Rotaract, please click here. In October, Brantford's officially became home to a Rotaract Club, which is a Rotary Club of members that are all between the ages of 18 to 25. Joel Dzuba, who participated as an exchange student with Brantford-Sunrise and spent a year of high school in Germany initiated the efforts to get the new Rotaract Club up and running. Together with five other core members, they have been meeting regularly and assisting in the community. This month, the Rotaract Club asked if they could plan, prepare and serve the monthly meal at Why Not ... and even in a major snow storm, their core members and several other participants made a full spaghetti meal for the youth. The Rotaract team is looking forward to doing more to help at Why Not. The Rotary Club of Brantford-Sunrise and the Rotary Club of Brantford host a dinner on the fourth Monday each month at Why Not Youth Centres for any youth wishing to come in for a hot meal. The meal is free and is served at 6:00 p.m. until 6:45 p.m. at Why Not, located at 368 Colborne Street.